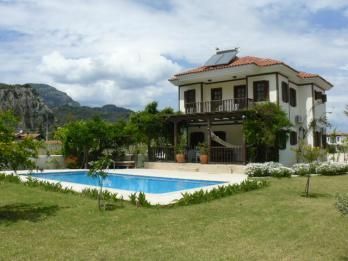 Large 4 bedroom detached villa with private swimming pool, car port, mature gardens and mountain view. 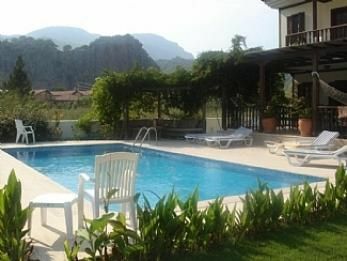 The property is for sale fully furnished and located in the Gulpinar district a quiter area 150m from the river delta with spectacular views of the surrounding mountains. 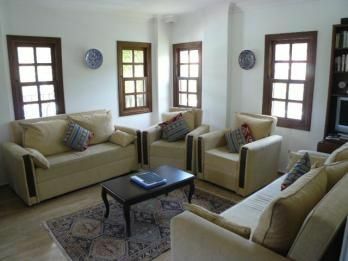 Villa has much charm and design with an Ottoman summer house feel. Ground level comprises open plan living with modern dark wood kitchen units with black marble work tops, built-in oven, hob, dishwasher and large fridge freezer. Dark wood dinning table and chairs leading into lounge area furnished with cream sofas, air-conditioning unit , spotlighted ceilings with large front terrace overlooking the gardens and swimming pool area. 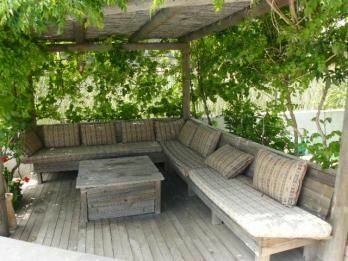 Also to the rear is a substantial terrace which easliy seats 10 people to dine. 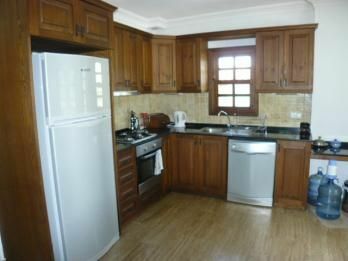 Large downstairs bedroom with dark wood double bed and matching furniture and air-condtioning unit. 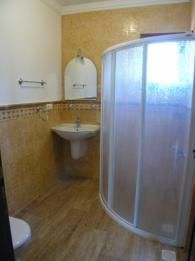 Bathroom with shower system, wash basin and w.c.
Upstairs Master bedroom 2 has double bed darkwood furniture to match, air-conditioning unit and en-suite bathroom . Bedroom 3 has darkwood twin beds furniture to match , air-conditioning unit doors open onto shared balcony which over looks the pool. 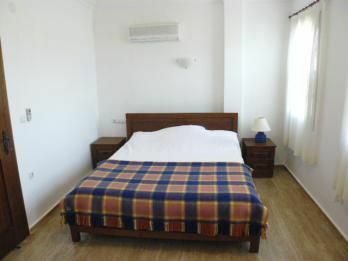 Bedroom 4 Dark wood double bed with matching furniture, air-conditioning unit with access to the shared balcony. 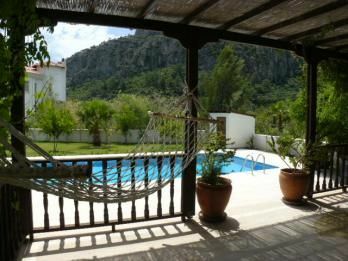 The property has a good rental history and can see 750GBP per week in high season.